Big Air is your go-to Baxter County Airport, FBO. At Big Air, we strive to provide excellent customer service. We are a Premium Fixed Base Operator and are AVFuel certified. A strong value for passion and teamwork are some of the behaviors that define us. We would love to continue serving our existing clientele as well as bring in new customers. By working quickly and making deadlines, we make it extremely easy to do business with us. We would love to help you make a reservation. Here in the Ozarks, there is so much to see, and Big Air wants to help you achieve that goal by providing the best service possible. Simply put, we are here to help you! Al Beers is the President of Big Air, and has 20 years and 10,000+ hours total log time between flying commercial and private jets. Al has been an airline transport pilot, served as director of operations, and is a dedicated family man. After receiving his BS in Business/Commerce, he dedicated his life to transport. 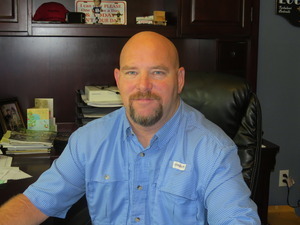 He has been in the transportation industry for over thirty years, and is the owner of Karr Transportation. With the addition of Big Air in 2015, Al and his wife Kelly are still going strong and are excited about the growth of their businesses.